Commonly known as a “nose job,” Rhinoplasty is a surgical procedure used to reshape the nose in various ways. Making the nose smaller is known as a “nose reduction,” whereas increasing its size is a procedure known as a “nose augmentation.” The general shape of the nose can also be altered, even including the nostrils and the angle between the nose and the top lip if desired. Rhinoplasty is one of the most popular plastic surgery procedures, whether for cosmetic purposes or as a solution to breathing complications. It is not at all uncommon for someone to be dissatisfied with the appearance of their nose, whether your concerns lie with the bridge or the tip, or perhaps the width and length, to name but a few common issues. As with any similar procedure, undergoing surgery for your nose is a big decision to make, and one that should not be taken lightly. If performed by highly trained and experience surgeon, like Mr Amit Pabari, then the results can be extraordinary, but not before undertaking a very complex and delicate operation. The procedure itself is carried out under general anaesthetic. Depending on the type of Rhinoplasty you desire and the concerns you wish to address, Mr Pabari may do one or a number of different things throughout the operation, including removing or rearranging cartilage as well as grafting cartilage that is taken from another area of the body. Depending on your individual needs, this can be performed via open Rhinoplasty, where one small cut is made between the nostrils, or closed Rhinoplasty, where multiple smaller cuts are made inside the nostrils. How long will Rhinoplasty surgery take? This depends on the extent of your procedure, but most patients should expect their operation to last at least an hour and a half, potentially up to three hours. You should also expect to have to spend one or two nights in hospital post nose-reshaping surgery of any kind. How long until I see results after my ‘nose job’? It is common for swelling to last up to six months, with the full effect of your procedure taking shape soon after. This is a permanent operation that will alter the appearance of your nose, which is why it is such a big decision to carefully consider. What are the associated side effects with nose reshaping surgery? Most patients experience one or a number of symptoms post-procedure. A blocked nose usually lasts for around a week, during which time you will need to breathe through your mouth. Your nose will feel stiff and numb, with light nose bleeds more than likely within the first few days. Redness, swelling, bruising and slight pain around the nose and eyes is to be expected, usually subsiding after three or so weeks. Mr Pabari will recommend certain pain killers to help with the pain during your recovery process. Such a significant surgical procedure comes with its fair share of risks that you should be aware of, although there is little cause for concern when you enlist the expertise and advanced care of The Pabari Clinic team. Any operation always carries risks of excessive bleeding, blood clots, allergic reaction and infection. Surgical nose reshaping specifically carries the risk of permanent difficulties with breathing, heavy nose bleeds, an altered sense of smell, and damage to the cartilage wall. There is also a chance that you might be unhappy with the results, although again this is highly unlikely when it comes to a highly skilled and experience surgeon like Mr Pabari. What does the downtime involve? When you initially leave hospital with the appropriate dressings, you should expect to have to take up to two weeks off work to recover, avoiding having to drive for the first few days. Any stitches and splints are usually removed after about a week post-procedure, while bruises and swelling should be starting to diminish after about a month and it is safe to start resuming more physical activities such as swimming and sports. Mr Pabari will advise you exactly what precautions you should take as you recover, such as resting with your head propped upright, avoiding hot baths and avoid excess pressure on the nose. Who is suitable for Rhinoplasty? Cosmetic Rhinoplasty is best suited for patients who are unhappy with the shape of their nose, with it often having a rather negative impact on your overall mental health and wellbeing. It can often be a source of embarrassment and anxiety for a lot of us, which is when a surgical solution would offer multiple benefits. Your surgeon will fully assess your suitability for this type of operation before considering offering it to you. 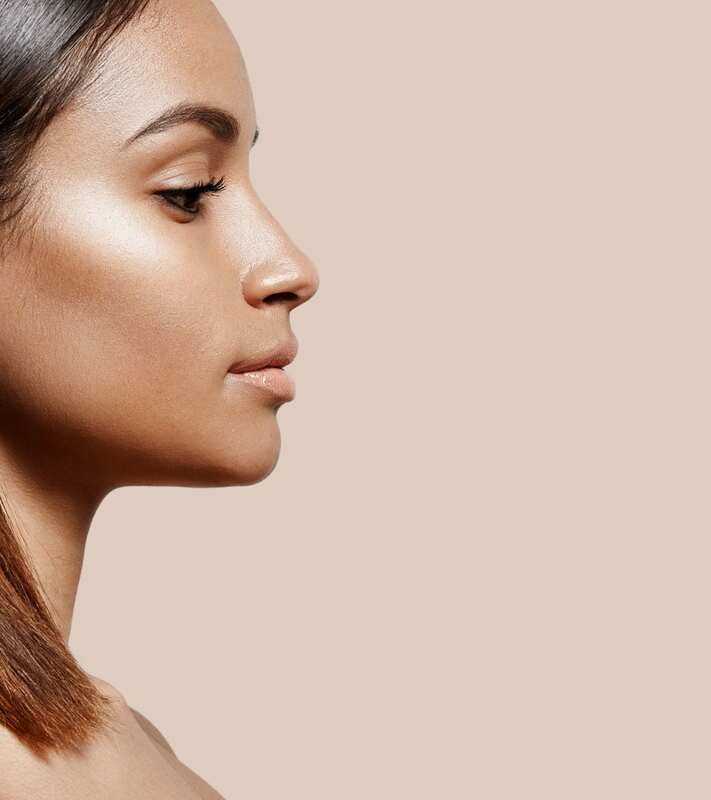 The cost of your operation would depend on the type of nose job you require and the extent of the procedure itself but will be confirmed during your initial consultation.